The conflict on Blue Isle is rapidly reaching a head when one unexpected event suddenly gives the Islanders a fighting chance. Adrian's son Luke, chafing under Fey rule, leads a group of his fellow farmers in a secret strike against a Fey outpost. They are seeking only to unbalance their conquerors, to prove that the Fey are not as vigilant as they believe, but in destroying the outpost, Luke and his fellows inadvertently destroy a stronghold of Fey magick, setting off a wave of power that cripples anyone possessing magickal powers. Meanwhile, in the town of Constant, Matthias is learning more about his mysterious powers and the truth behind a religion he had all but abandoned. While in the Place of Power, high in the Cliffs of Blood, King Nicholas has begun exploring the stored artifacts of the Blue Island religion, many of which may prove as deadly to the Fey as the once-feared holy water. And as for Rugad, furious at Luke's attack and feeling his control over his people and his slipping, he knows the time to strike is now-lest he lose the opportunity altogether. Already, the Fey have lost their first battle to the Islanders in the Cliffs of Blood. And Rugad does not intend that it should happen again. Now, as Rugad's forces march in force against the town of Constant, the fate of all the Blue Isle may rest on the most unlikely alliance of all. For if King Nicholas cannot join together with the man who once killed his wife, all of Blue Isle may pay the price. 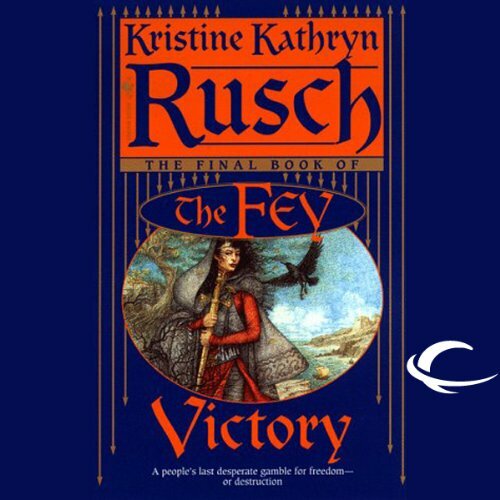 ©1998 Khristine Kathryn Rusch (P)2010 Audible, Inc. The whole series was fascinating. I listened practically non-stop to all 5 books and found myself in the land of Blue Isle along with the characters. It was an amazing experience, one that I will never forget. The narrator, David DeSantos did multiple voices great.